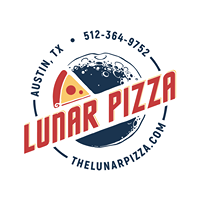 Lunar Pizza has landed! 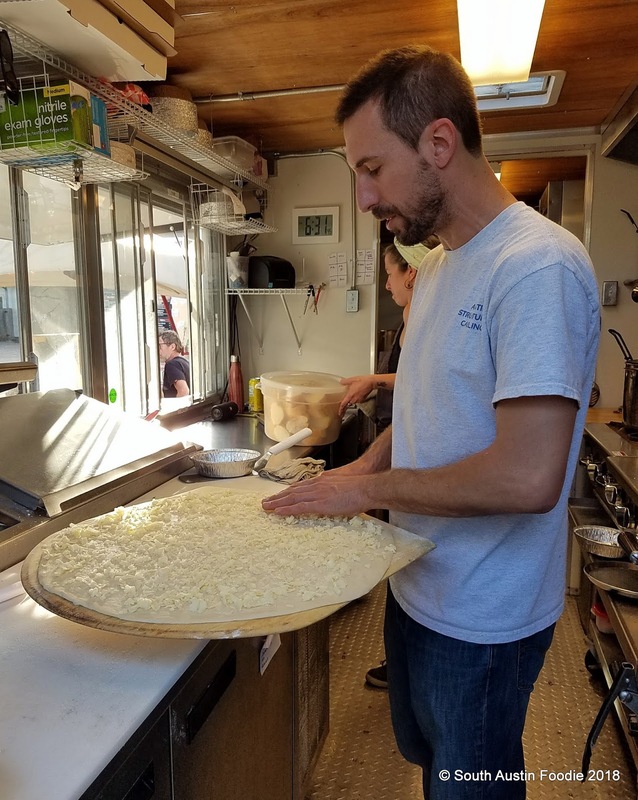 While established as a mobile lunar rover, this new food trailer has planted it's pizza flag next to its sister Regal Ravioli at 1502 South First Street, across from Elizabeth Street Cafe. Earthlings rejoice! 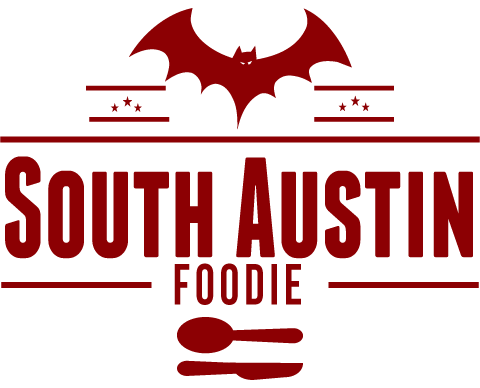 I was invited to try Lunar by owner Zach, who knows I have loved his ravioli trailer for years; previous post here. 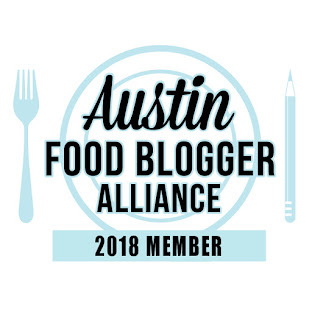 (Cheese ravioli with pecan pesto? Yes please! But don't overlook the sweet potato gnocchi with bolognese sauce.) So let's get this part out of the way, I was not monetarily compensated for this blog post and all opinions are purely my own. I *dragged* two friends along with me, and we enjoyed a pleasant spring evening dining al fresco with our adult beverages we brought with us. And independently, we reached the same conclusion about Lunar Pizza: we loved it. 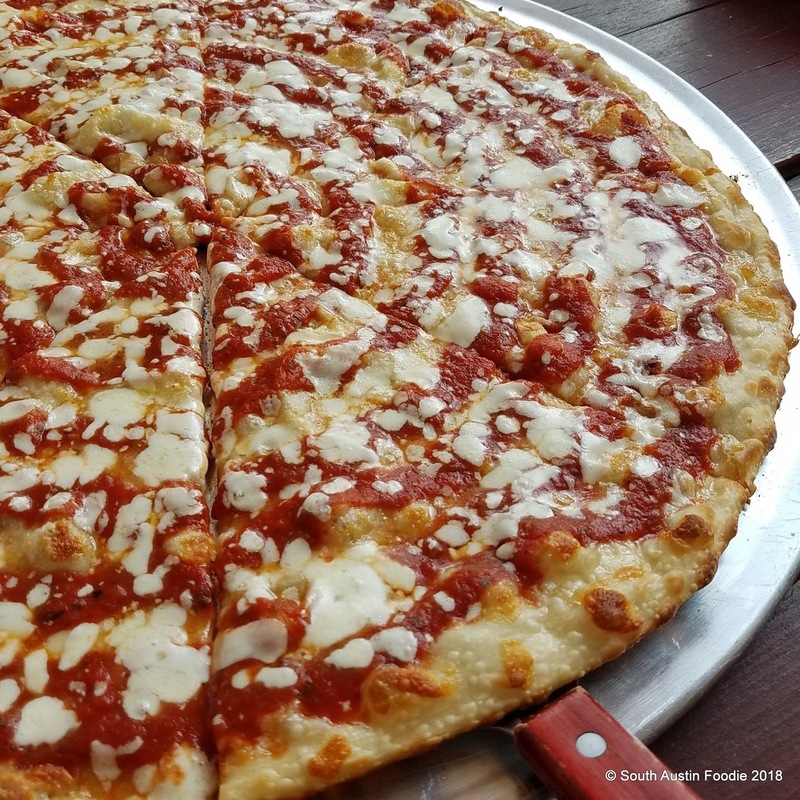 This is New Jersey-style pizza, which is known for a thinner and crispier crust and a little more sauce than its New York cousin. To me, the crust was the best part of the Lunar pizzas, and like a good apple pie, the crust MAKES a (pizza) pie. Lunar's dough is thin, but not cracker thin, with a little bit of a chew to it, but not a doughy mouthful. It's unique and I dig it. The deck oven in the trailer heats to 525 degrees. 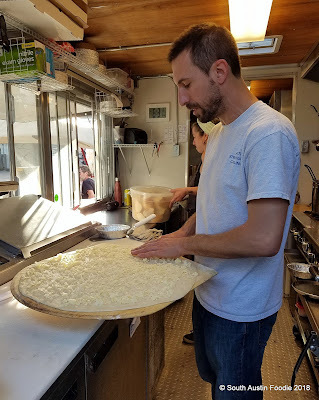 For a classic cheese pie, Zach spreads cheese over the dough and bakes for about 2 minutes, then adds sauce and more cheese before returning to the oven. This process helps the crust to bake to perfection. He recommends not putting too many toppings on the pizzas as it will overload the thin crust. 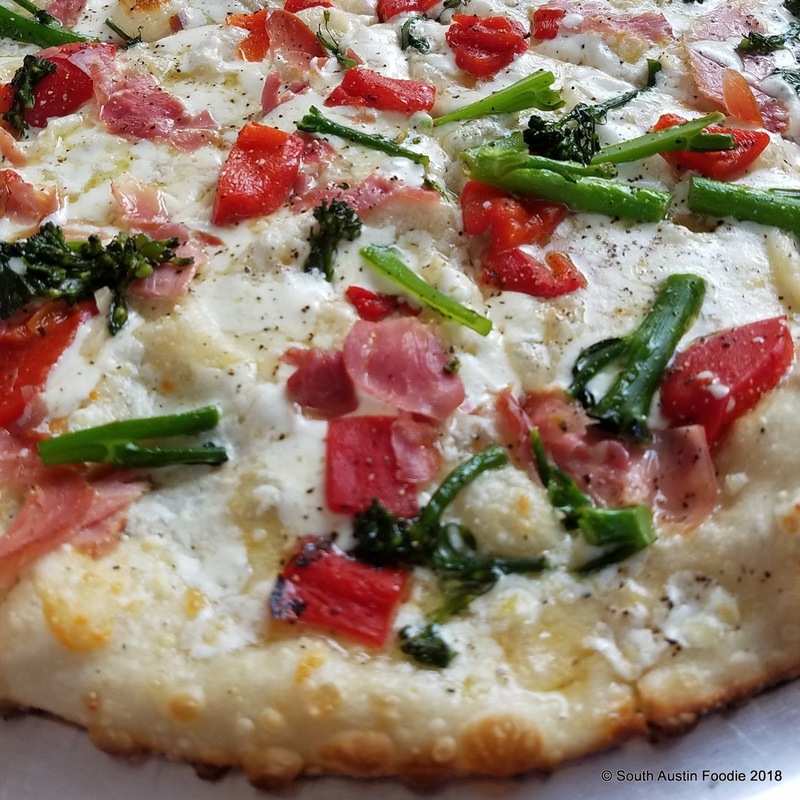 There are a couple pies on the specialty menu, and Zach also brought us the Super Moon, a white pizza with garlic, olive oil, cheese, prosciutto, roasted red peppers and broccolini. A few red pepper flakes added a bit of zip, and this pie was outstanding. I always love a white pie, and as the song goes "When the moon hits your eye like a big pizza pie, that's amore." And for times when you don't want a whole pizza, you can also order by the slice. Go directly to the Regal Ravioli trailer to order. All the orders and pick up is done from Regal and the Lunar trailer does all the prep and cooking. Reheat your leftovers in the oven or toaster oven, don't make a soggy mess of the crust by putting it in the microwave.